These are some new pages from my Sketchbook Project sketchbook. I had a little of a break from working in it but I’m back on track now, slowly filling up the pages. I’ve been enjoying playing around with just graphite in my sketching, working purely in tone rather than with colour. Light and Shadows are my current fixation, I’m in love with the patterns and drama they create and I want to incorporate this more in my work. These are all on Arches hotpress watercolour paper with my 0.5mm Uni Kuru Toga mechanical pencil and F grade lead. I tend to swap my leads around in my travel set depending on what mood I’m in, the F has been nice on the go as it doesn’t smudge much and I can still get a decent range of tones with it. Do you have a favorite lead grade? 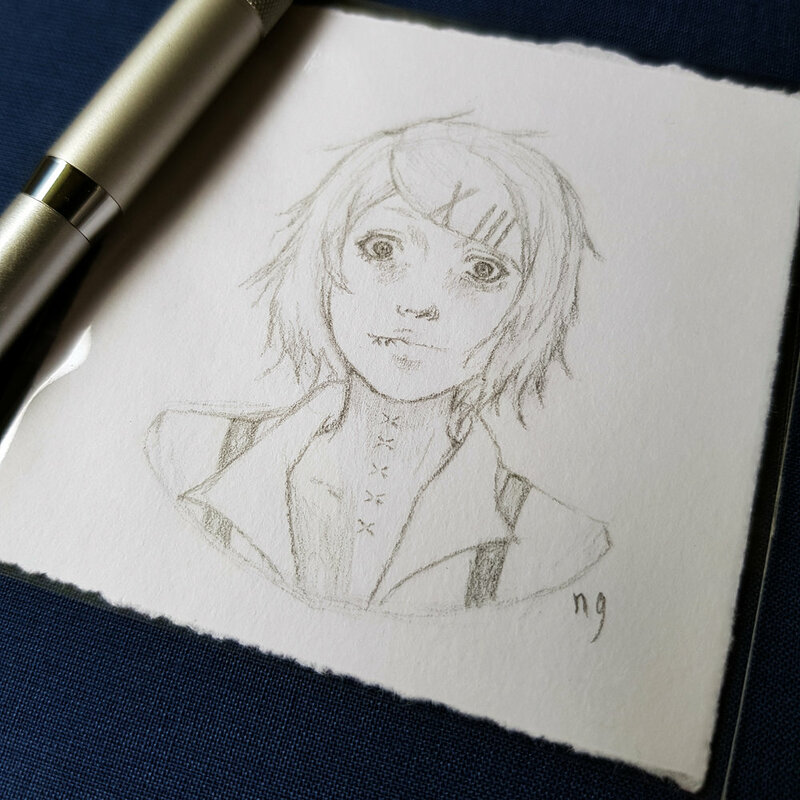 At Brisbane Supanova this year I decided to try offering mini sketch commissions. I took with me some pre-sketched characters and offered on-the-spot commissions. I was really happy with how the were received so I’ve decided to continue offering them in my online store. 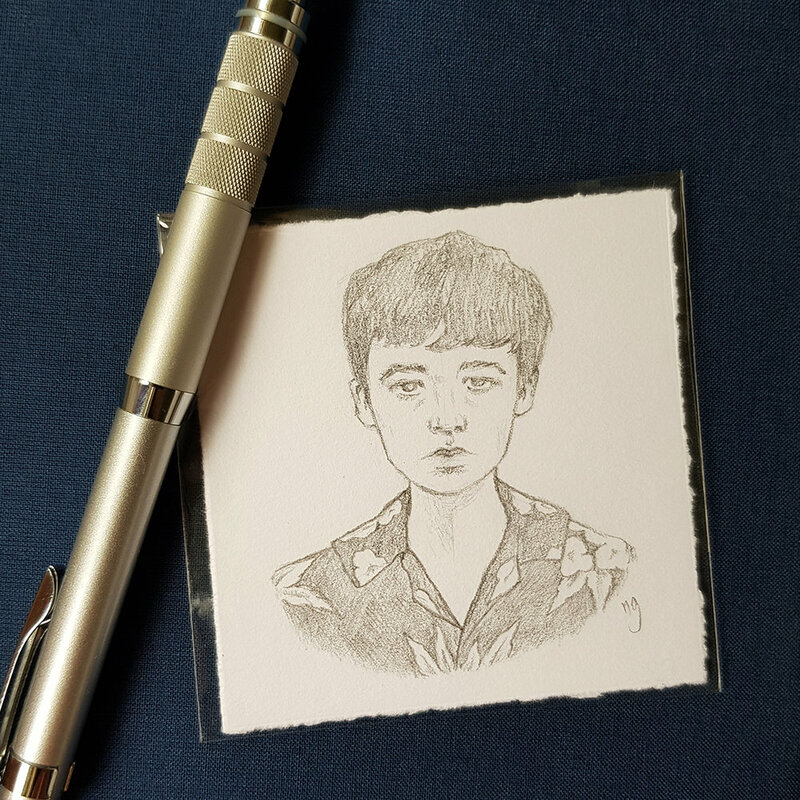 They’re a super cute, teeny tiny 7x7cm graphite sketch on 225gsm art paper with a soft deckled edge. If there’s a character you’d like let me know, I’d love to sketch them for you! It doesn’t have to be a pop culture character either, it could be you, your pet, a gaming avatar.. anything you’d like, even your favorite food (I’m always thinking about food, so food makes sense to me, but maybe that ones just weird ¯\_(ツ)_/¯). Only one week till Brisbane Supanova! I’m working hard prepping for the event, making sure I’ve got lots of stock ready. This year the convention runs for 3 days (Friday 9th 1pm-7pm, Saturday 10th 10am-6pm, Sunday 11th 10am-6pm) at the Brisbane Convention and Exhibition Centre in South Brisbane. 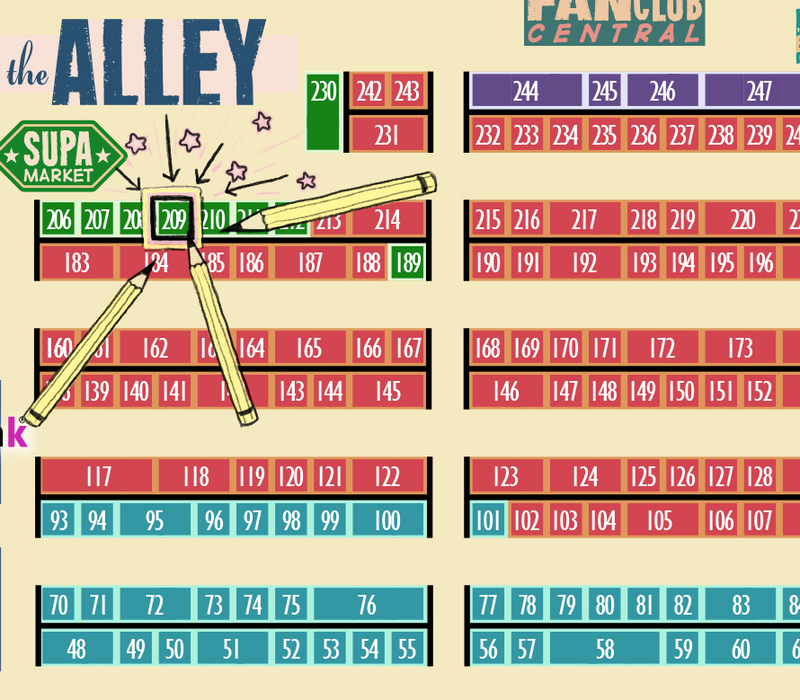 You’ll find me in The Alley at stand 209. Where I’ll be selling my prints, pins, cards, gift tags, zine and zippered pouches (some designs haven’t even made it to the online shop yet). It’s going to be lots fun, hope to see you there. I’ve joined in the Pillow Fight at Ohh Deer. You can purchase my pillow designs for a limited time in the Pillow Fight Shop and if you like my designs you can also vote for them in the competition. 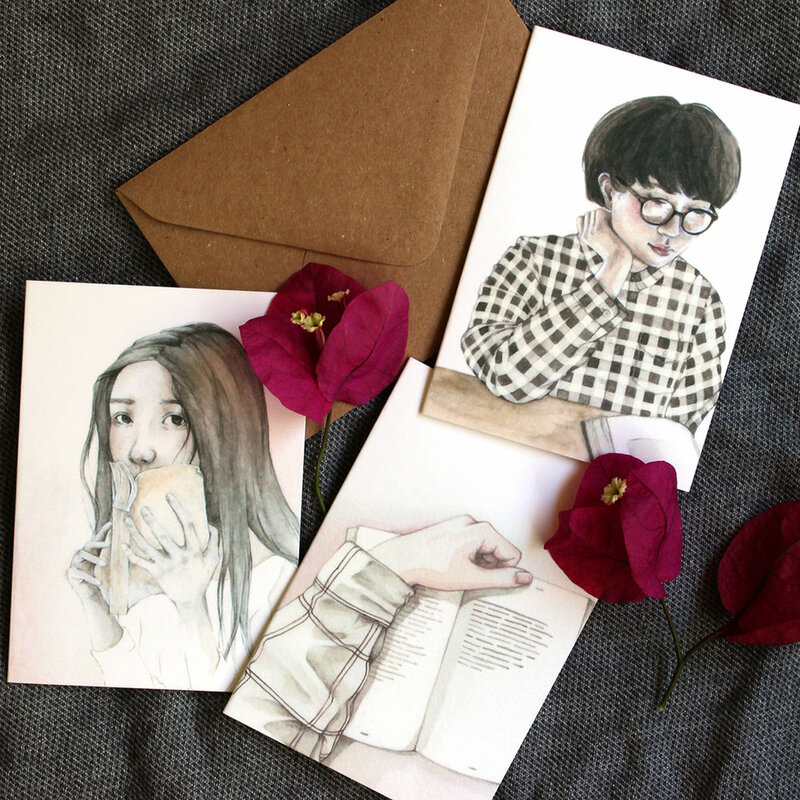 Over in my online store I’ve also got a new mini greeting card set and some gift tags. 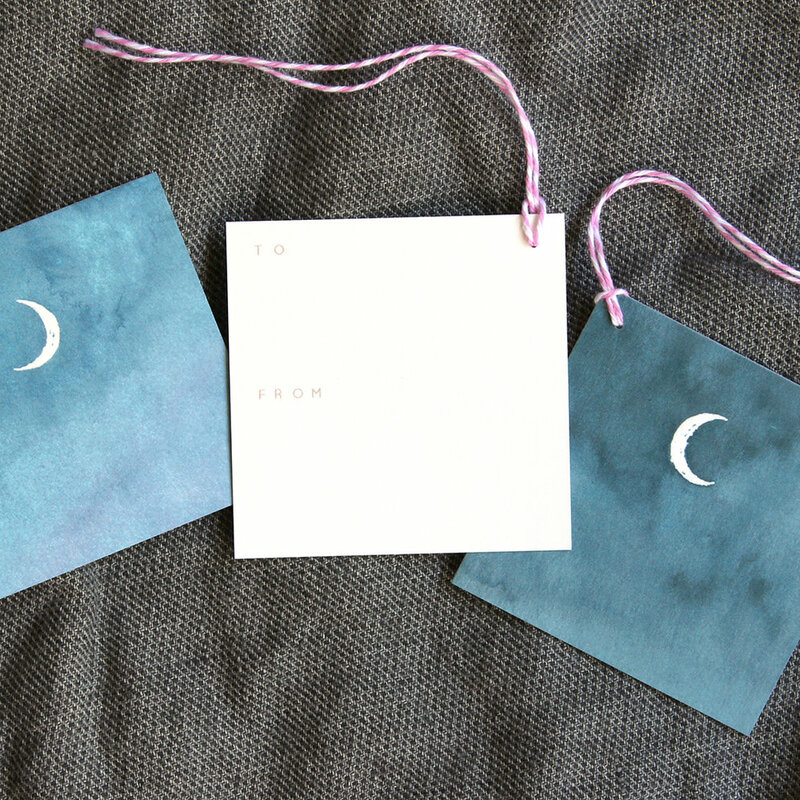 I’m so happy, my little moon cards have arrived! I’ve been busy folding them all ready for sale, listening to a bit of Warpaint and Beach House. The weather here is so gloomy, normally I love the rain but it feels never ending, I’m so far behind in my washing and the poor light is making it difficult to take photos. I've been playing around with masking fluid using it in a few projects like this double page illustration in my SBP sketchbook. The one I’m using is the Fineline masking fluid pen, its got a handy superfine nib so you can use it for detailed areas. In the past I hadn’t much liked masking fluid as I’d only used the bottled ones where you need to muck up a brush for applying the fluid and it just felt so messy and not worth the trouble. But after hearing many recommendations on the needle tipped varieties I decieded to give masking fluid another try and it was well worth it this one is much nicer. As tedious as I find the laying down and removing of the fluid the big reveal is rather exciting. I had fun experimenting with monochromatic light and shadow in my bed illustration and might do a few more like this in my sketchbook. Another little project I’ve been working on is these moon phases which I’m making into small greeting cards along with some other designs which will be available very soon. In November I’ll be exhibiting at the Brisbane Supanova pop culture convention selling my prints, cards and other goods, I’ll post more info on this soon. I’m back at work scribbling and painting. 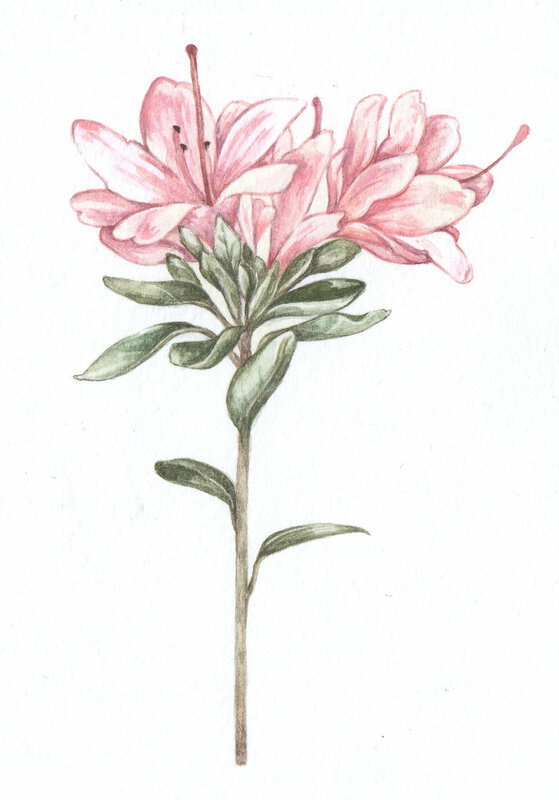 I did another book lover illustration and painted my azaleas. I’m also working on some moons which I’m hoping to share soon and plan to do some work in my sketchbook project sketchbook tomorrow. Did you heard about the new Sabrina TV series that’s coming out soon? I’m super excited for it, till it starts I’m binge watching the 90s show and getting all nostalgic. Hello! I'm sorry to say I don't have much to share this week, I've been wandering lost. I've spent some time hiding in books, reading a bit of Douglas Adams, I just finished Dirk Gently's Holistic Detective Agency and The Long Dark Tea-Time Of The Soul, both wonderfully witty and wacky. Spring has just started so I've been sitting outside in the garden. A few of my flowers are in bloom, my azaleas, nasturtium, camellia and pansies are all adding a little colour to my day. I haven't been able to draw so instead I'm slowly working on some other tasks, I'm updating my website and my product photos. I'm also trialing out a Tictail store. I'm not as happy with Etsy as I once was so if things go well with Tictail I may be moving my store there permanently but for now I have the 2. Not all products are up yet but if your interested pop on over here and check it out. Hi there! Sorry for the long absence Ive been busily scribbling away, working on lots of different projects. I also recently decided to join The Sketchbook Project, the worlds largest collection of artist sketchbooks. I was super excited when my sketchbook arrived in the mail and couldnt wait to start filling it. I really wanted to use watercolour and as I tend to work my paper quite heavily I decided it would be best to rebind my book with watercolour paper. I didnt have much experience with book binding but I love a challenge so I decided to just go for it. 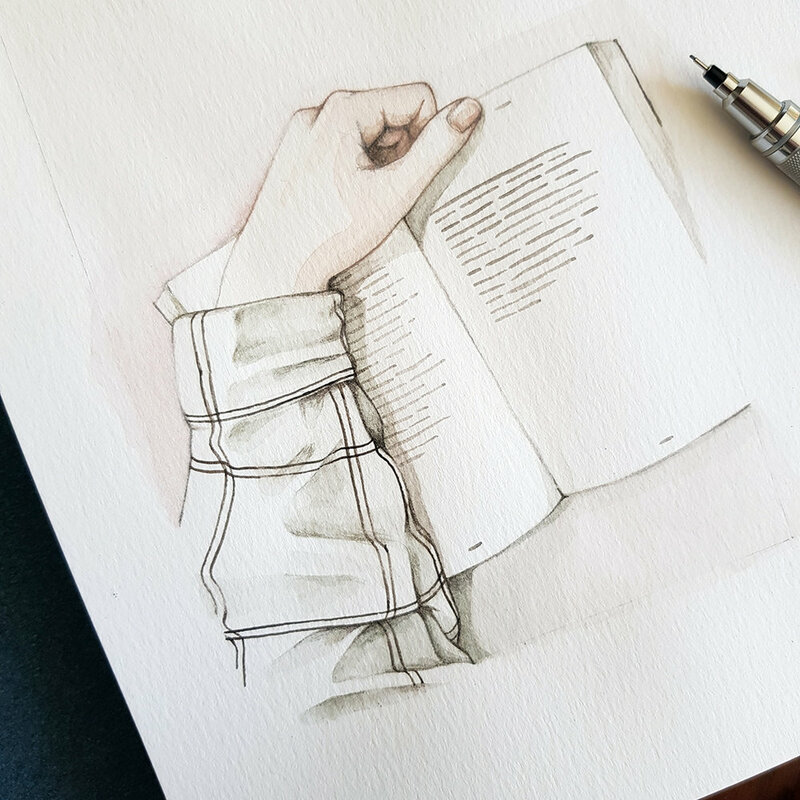 I chose Arches 300gsm hot press watercolour paper, the 560mm x 760mm sheet was the perfect size to fill my book. 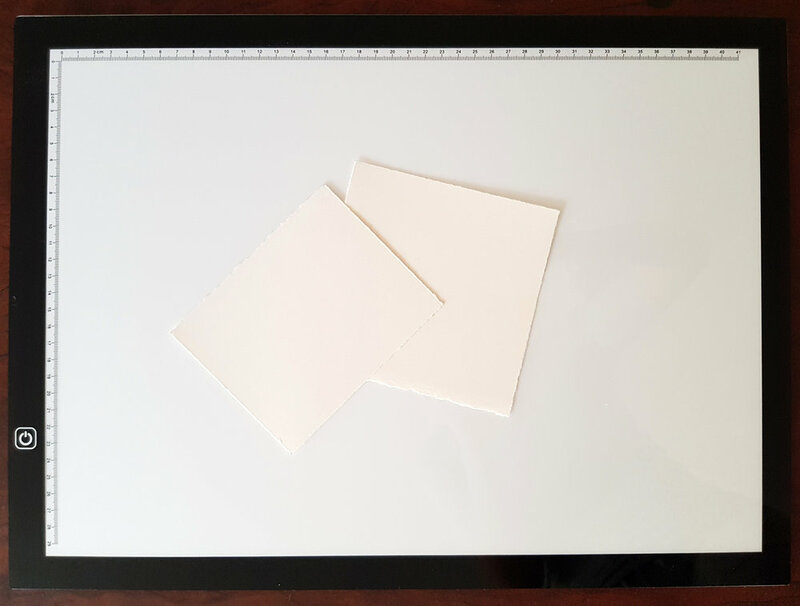 I love deckled edges so I decided to break up my sheet and keep a natural edge to my pages. While originally I had planned to use saddle stitch binding to put my book back together, once I had all my pages folded ready to go it seemed to be very bulky! I wasnt feeling confident about it anymore so I went off and did some more research. 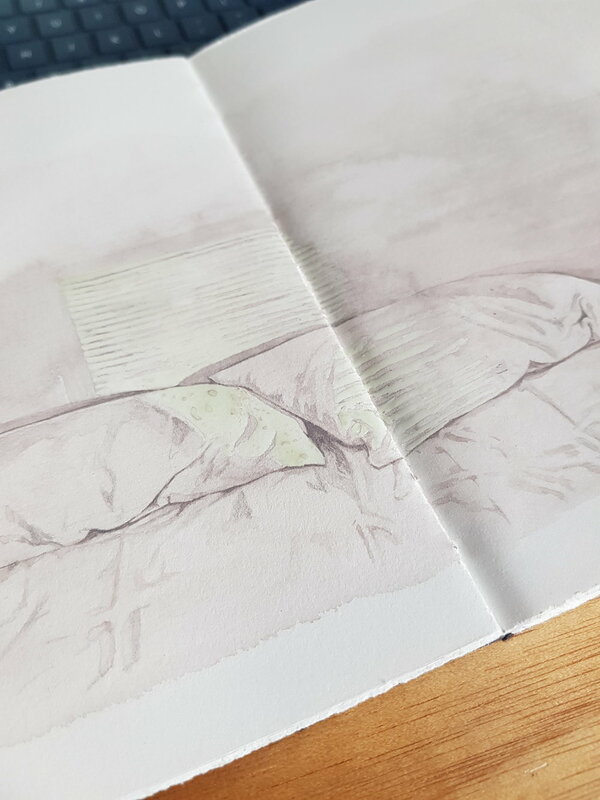 I decided to use coptic binding instead, it looked like a lot more work but I found many artists use this method to make their own sketchbooks as it allows the book to lay flat which I thought would be a wonderful bonus. This method meant that I had to split my cover in 2 and most likely reinforce it, it also involved more stitching but has a lovely decorative spine. There are heaps of tutorials for coptic binding on the internet but if you havent done much book binding before, like me, they may be a little tricky to follow so its always best to trial run before using your good papers. Doing a test run also gave me a chance to see if a thin cover would be sufficient with this binding method. My little test book went well but the cover did tear slightly at one of my binding holes, while it may have been because my tension was to tight I thought it best to reinforce my cover just to be safe as it would be living in a library and I wanted it to last. Of course this meant more work for myself but Ive always been a bit obsessive with getting things right so I shouldn't be surprised. To reinforce my cover I used some backing board and covered the 2 layers (original cover and backing board) in lokta paper and used some washi origami paper to add a decorative finish to the inside. 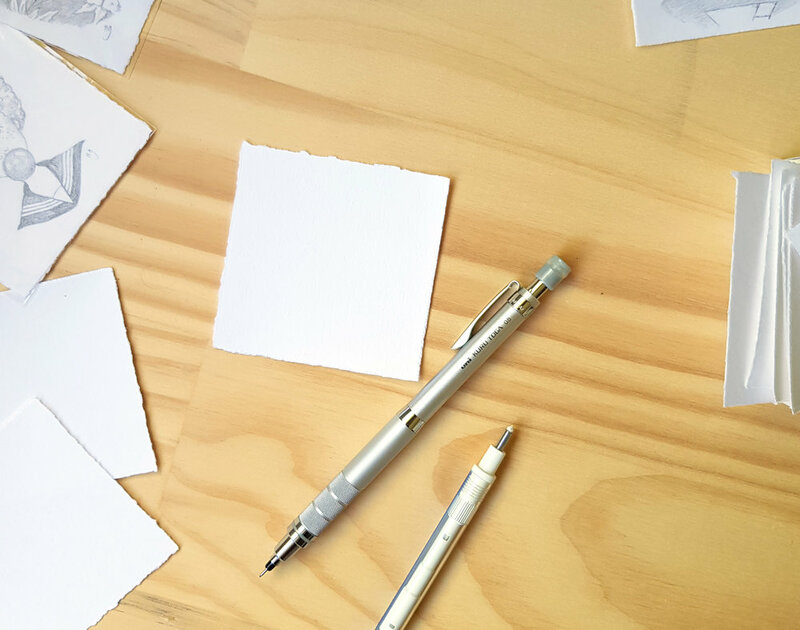 When you get your sketchbook you are given some theme suggestions to help you get started. I thought this was great as often getting started is the hardest part. I've chosen the theme Melancholy, I felt it fit my style and I at once pictured a particular colour palette. 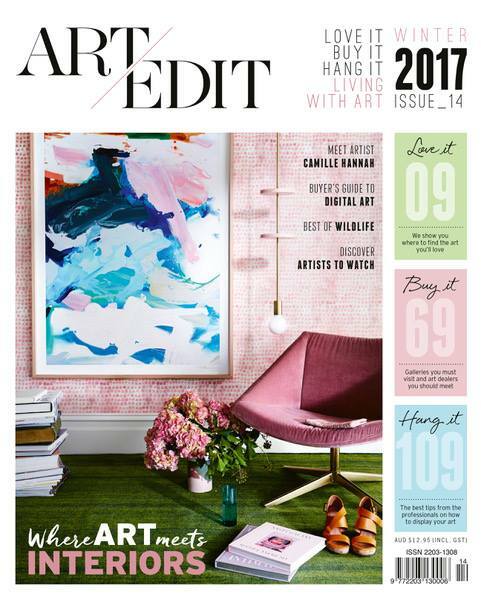 I prefer to work with moody colours and enjoy playing around with different palette combinations. I feel my work is more balanced if I restrain myself to particular colours rather than having free rain of my paint box. The pallete Ive set up is Jaune Brilliant, Yellow Ochre, Shell pink, Light Red, Blue Grey, Lavender, Green Grey, Davys Grey, Grey Of Grey, Indigo and Sepia (All colours are Holbein). Its a slightly odd mix with some personal favourites and of course not all colours will be used in each illustration but this process helps me to picture things and keep some harmony and balance through out. I'm really happy with how my binding turned out, it was well worth the extra work. I love learning a new skills and look forward to binding more sketchbooks in the future. I finally got a light box! The one I got is quite a basic one, its A3 and I purchased it on eBay. I love that its super thin and easy to store. The only real issue I have with it is that the light adjustment is a bit tricky to use. Im having a huge sale! 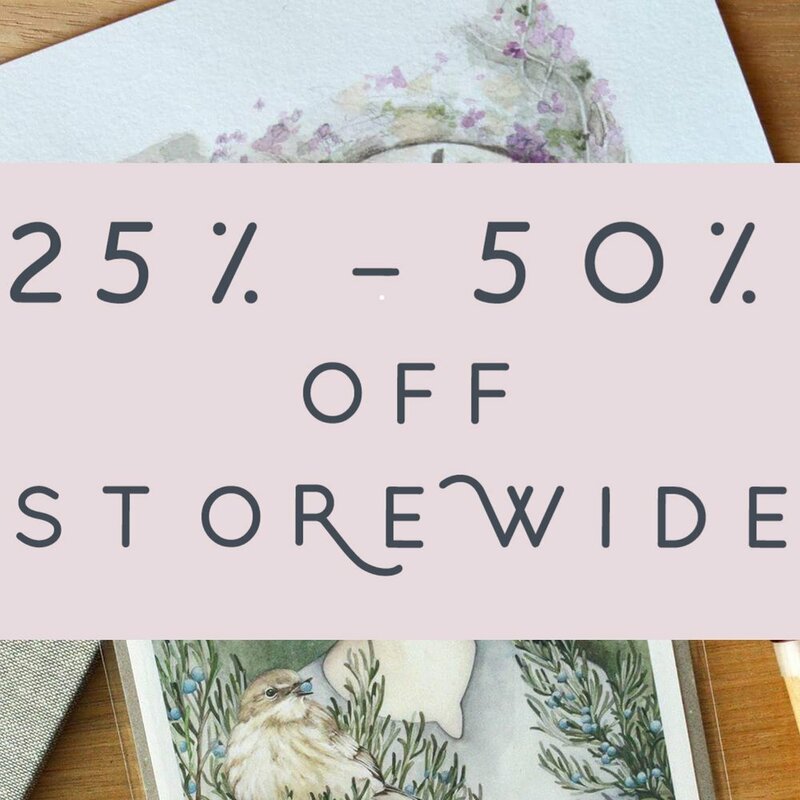 I'm having a huge sale! It's for 6 days only (18th -23rd June AEST) so don't miss out! I'm on a mission! I want to improve my drawing speed. Its not happening organically, at least not to the degree I want it to so I'm stepping in. My goal is to go full time with my illustration work and speed is something that I'll need to improve to get there. So I'm gradually trying to trade out my idle moments with more sketching, just fast, unpolished, quick sketches (I have an overwhelming compulsion to keep working a piece in search of perfection, its rather unhealthy). So lately I've been drawing while spending time with family and while sitting in cafes. Its been difficult for me as I'm weirdly insecure about drawing in front of other people. Its silly but it just makes me uncomfortable and feels like a lot of pressure. I just keep telling myself no one is looking, no one cares and that it doesn't matter but insecurities are hard to crush. So far I'm doing all right. I still feel uncomfortable and I'm not sketching as frequently as I could but its a start. Whats in my little on-the-go sketch set? I'm going to try hard to keep up with this and post more pics. Hopefully these little sketch sessions will help me to get faster with my illustrations and to be more comfortable drawing around others. Id love to find a life drawing group nearby (I'm on the Sunshine Coast at the moment), its been too long since Ive been to one and I used to find them enjoyable and challenging, its also nice to spend time around other creatives and I really miss that. 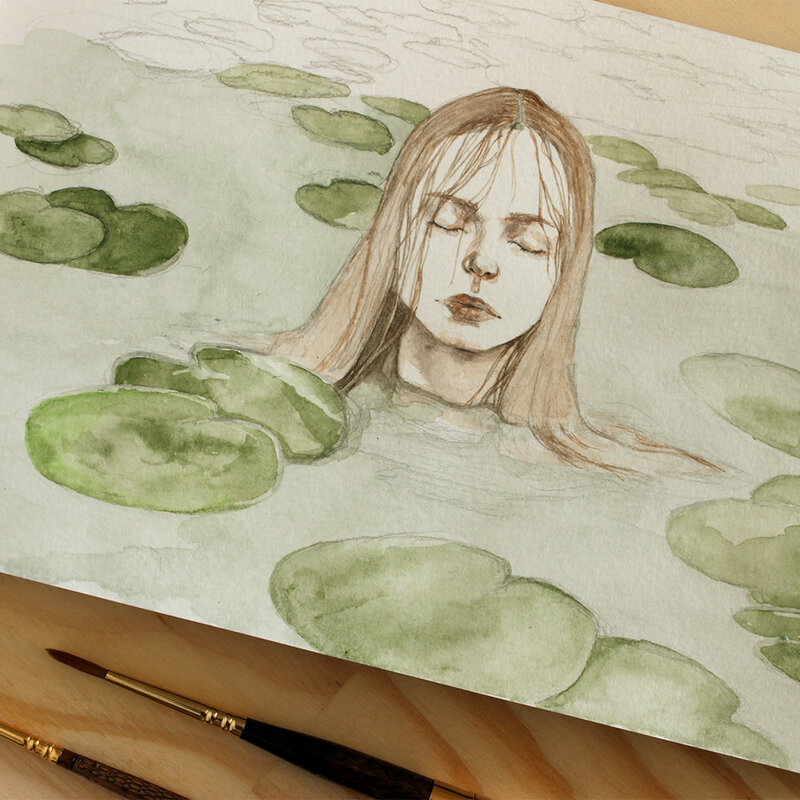 Check out my little water nymph, she's now available in my shop as postcards. I really enjoyed the journey of painting this little lady. There are a few things I have a habit of avoiding because I'm rather bad at illustrating them and water is definitely one of them. It's silly because avoiding these things isn't doing me any good at all. So I recently gave myself a telling off and started this in an attempt to strengthen my skills. She was only supposed to be development work that no one else had to see (because I'm weirdly ashamed of my messy stuff) but once I got into the rhythm of things I started to find the patterns of the water to be quite therapeutic and I just kept going till she was done. And now I'm actually rather proud, I hope you like her to. A little sneak peek at my latest postcard design, coming to the store soon.. Interested in getting a portrait painted of your sweet little self? I now have portrait commissions listed in my Etsy store! There something a little bit fun, with your face and the botanicals of your choice. Pushing through my creative block and this wretched sadness that has been consuming me. It's time to draw and be creative again. I'm having a print sale ! It's the Finders Keepers Melbourne Autumn/Winter markets this Friday, Saturday and Sunday at the Royal Exhibition Building in Carlton. If your in Melbourne I highly recommend stopping by, there are so many amazing designers exhibiting. I've highlighted my stall in red on the map below to help you find where I am.